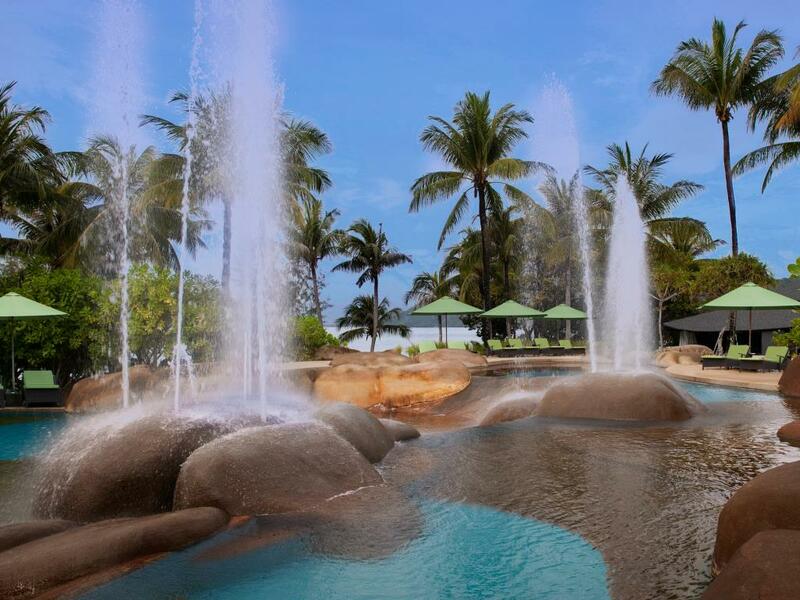 On a private beach surrounded by trees, this luxe resort is a 13-minute walk from Kuah Jetty and the shops at Eagle Square. Polished rooms provide free Internet and flat-screen TVs. Upgraded quarters have patios, balconies and/or sea views. Suites feature living rooms. 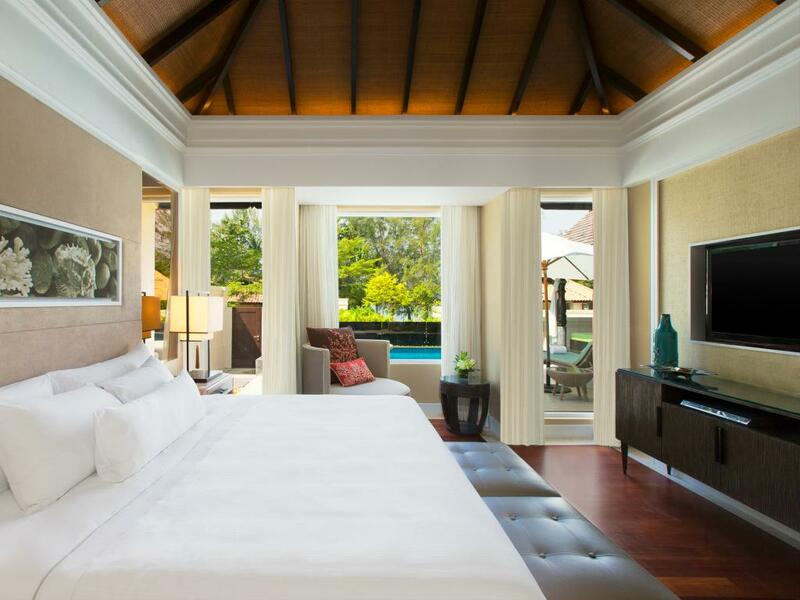 Villas add whirlpool tubs and private pools; upgraded units offer kitchenettes and/or traditional Malay massage areas. Room service is available 24/7. Breakfast is free. Sea-view dining options include a poolside bar, a lounge and 2 restaurants. The resort has 4 outdoor pools, a spa and a gym, plus a kids’ club. Guided hikes and water sports are offered.